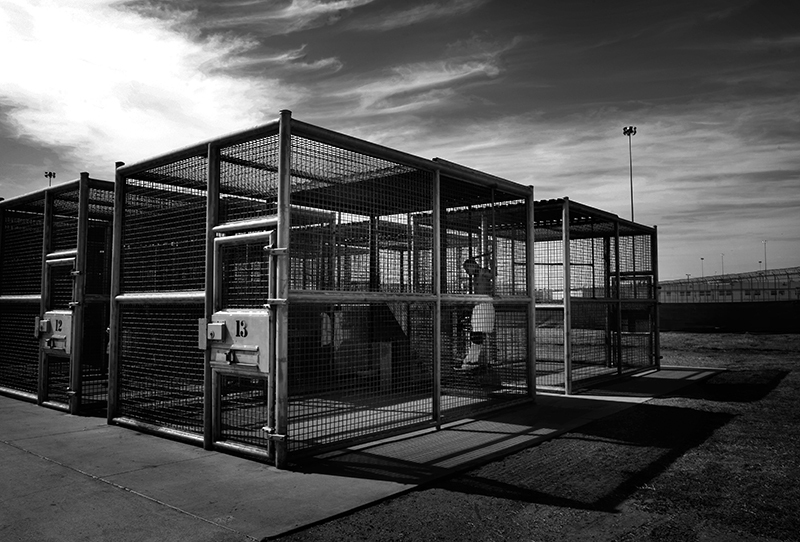 The large metal cages are lined up in two rows under blistering Central Valley sun just outside the prison wells. For maximum- security inmates, this is what counts as outdoor space. Some inmates are placed in cages with cellmates, but most are alone. One passes the time by pacing back and forth. Another does push-ups with the help of two prosthetic legs. Under state law, an inmate enters the SHU by committing a serious or violent offense while in prison. That includes murder, attempted murder, drug trafficking, arson and/or extortion.